Square footage is calculated as the length of your project area multiplied by the width of your project area. From the elite flooring manufacturer Stonewood Floors, we have their Nobel House Collection engineered, handscraped hardwoods. It's similar to their Durango collection, but made from Siberian birch wood. 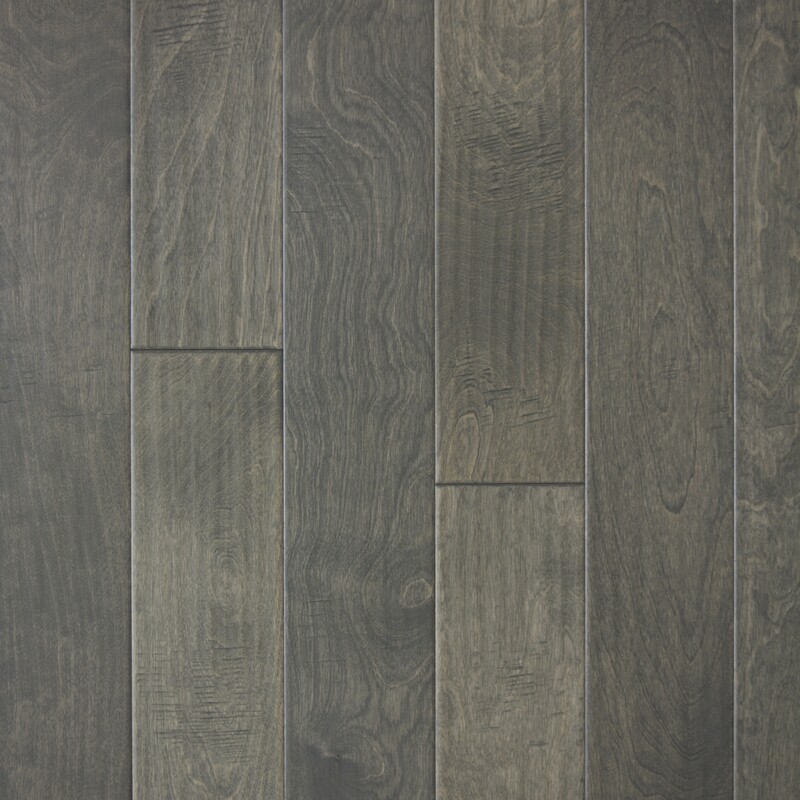 Handscraped and milled to a 5-inch width, This Noble House Waynesboro wood has an antique gray color. It's 3/8 inches thick and available in lengths ranging from 10 inches to 4 feet. It has a protective aluminum oxide urethane finish and comes with a 50-year warranty. This Waynesboro engineered hardwood, a darker shade in the gray family, is currently a very trendy color among designers and homeowners. This engineered wood can be installed with staples, nails, glue or as a floating floor. The handscraped, distressed appearance brings an old-world, classic appearance to any home or commercial space. © iDeal Floors. All Rights Reserved.